You can learn a lot about someone by cleaning out their house. Anyone who has done this knows what I mean. Of course you have to wade through all the humdrum stuff, like sheets and towels, paint and cleaning supplies, jars of stale spices, dishes, furniture and clothing. But beneath this layer are windows into the souls of the people who lived there: matchbooks from restaurants visited long ago tucked inside a vanity drawer, used baby clothing saved for grandchildren who arrived too late, photos of relatives whose names no one knows, check stubs from jobs held before you were born, toys you played with as an infant, wrapped carefully in tissue paper and stored in shoe boxes. To the casual observer these are things to discard; to the souls that held on to them, they are touchstones of memory. To some, my father was disorganized, never finished anything he started, and couldn’t throw anything out. Much of this is true. For a good two years our family of seven lived without a dryer because he didn’t get around to fixing it. Instead he installed yards of clothing line in the basement. Maybe we didn’t have the money for a new dryer? Maybe he didn’t know how to fix it? I’ll never know. Yet in the early 70s he bought a cement mixer and built a steel-reinforced foundation on top of which he laid a concrete patio with redwood inserts that hasn’t cracked yet and likely never will. He also rebuilt two car engines himself, using the garage beam as a hoist to lift the blocks out. Granted, it took him two years to complete each engine. Oh and did I mention one was a Ford Pinto? Lately, as I’ve combed through my Dad’s train collection for things to list on eBay, I find myself pushing aside certain items for “later”. 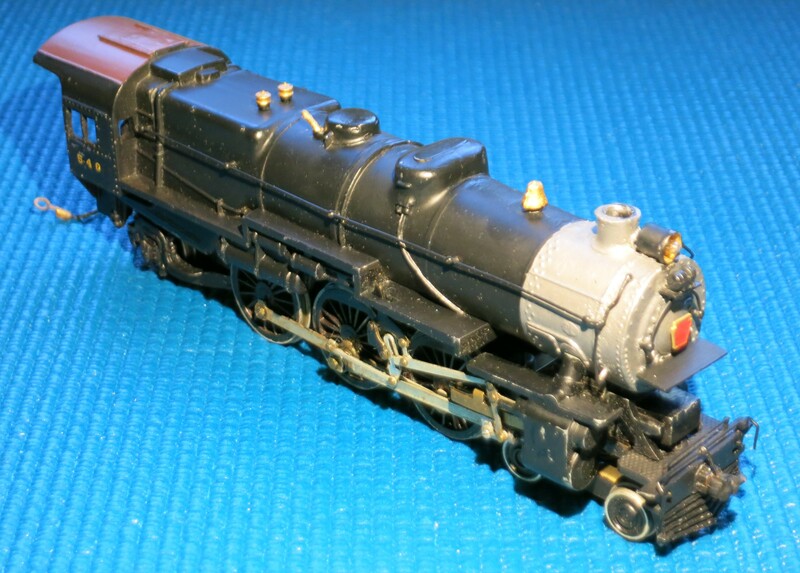 I’ve been ignoring this Pennsylvania Railroad K-4 Pacific Locomotive and Tender for a few months. It’s sitting next to a pile of things “to be photographed” for listing. There’s something about it that stops me; its flawless detailing and paint job and how it runs so smoothly and quietly it’s as if it were just out of the box. This is his work, I know it. 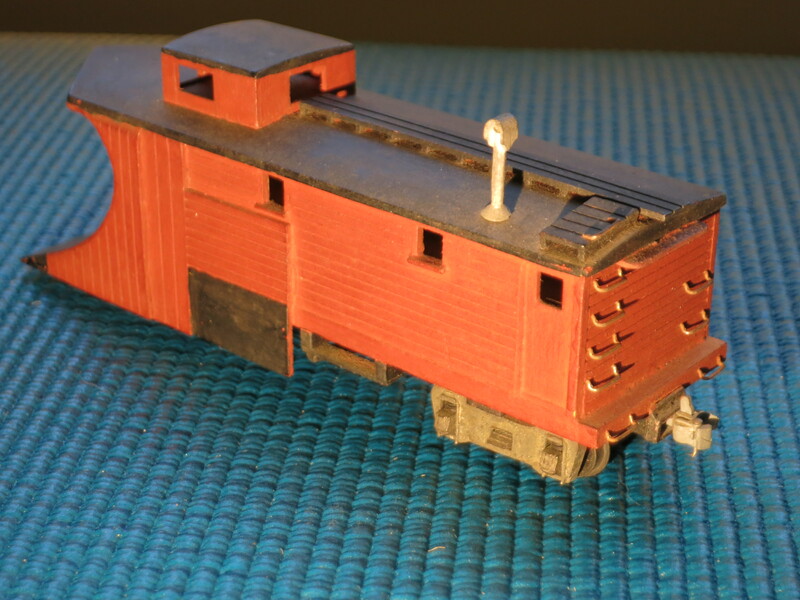 A few weeks ago I found a Boston & Maine Snow Plow Car made from an Ambroid kit. Manufactured in the 1950’s these milled wood kits are today very much in demand. Tissue paper and soft foam swaddled this car gingerly inside it’s box. The paint job was immaculate and the details precise. I knew he’d built it; it’s perfect. That’s just how he did things. Turning it over, I was not surprised to find his initials scratched into the undercarriage. My Dad’s trains are my talismans; they keep him alive in my memory and heart, softening my grief. Working on his railroad reminds me that he and I, all of us really, can be both flawed and perfect. Yes, it’s a labor of love. Thank you!